If you need a simple and interesting way of showing the rave reviews and testimonials of your product in an easy-to-understand manner, then you need to enlist the services of Dynamic Digital Advertising (DDA). 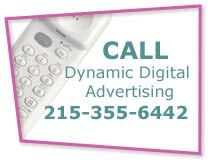 As a full-service advertising agency, we run the complete gamut of advertising services, including video production. DDA has a complete video production studio in-house to create any type of video you need. If you combine that video with the pay-per-click management services of DDA, you can easily and effectively drive Internet users to your website. The biggest search engine, Google, is now making full use of video advertising in its pay-per-click services through click-to-pay video ads. When someone searches Google using a keyword related to your product, you can guarantee your product will be found on the first pages of Google by bidding to advertise on those keywords. Formerly, all advertising was done through text-based ads, but now you can show a short testimonial video clip in your ad to draw potential customers to your website. With an advertised product testimonial video directly placed on the largest search engine in the world, potential customers will be able to search the Internet and easily find your product and see the great things people are saying about it. And with a click-to-pay video showcasing the testimonials and ease of use of your product, you will be one-step ahead of the competition. Not only will the traffic of your website increase with the pay-per-click program, but also the interest in the showcased product. For years, DDA has prided itself on creating innovative and compelling videos to successfully sell or market products. Choosing DDA to create engaging and unique video productions is the smart decision. And with the pay-per-click program management services we offer, that video can be properly reformatted to advertise on the largest Internet search engine and show the rave reviews about your product to thousands of people all over the world.